Jose Mourinho and Mauricio Pochettino have led their teams admirably this season, attempting to balance participation in multiple competitions with consistency in the league. 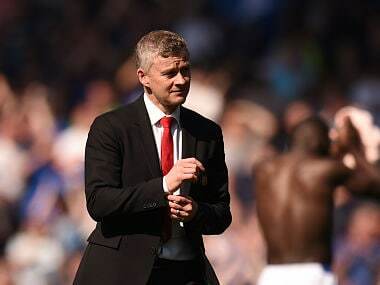 However, despite their best efforts, Manchester United couldn't pose a real threat to Manchester City as the latter to the league title, leaving United looking at the FA Cup as the trophy that helps them salvage their season. Spurs are, meanwhile, focused on winning the tournament Pochettino had dismissed earlier in the season to vindicate their continued development. The Red Devils have, without a doubt, improved from where they were last season. Wins over Tottenham, City, Liverpool, Chelsea and Arsenal signify that they have learnt to do what is necessary to win against the big teams. Apart from that, they have shown greater consistency in their performances week in, week out. However, they are still far away from being the finished article, both in terms of their ruthlessness and in terms of developing their own style of play. At the moment, they are a team with building blocks in place for a run at the Premier League title next season. 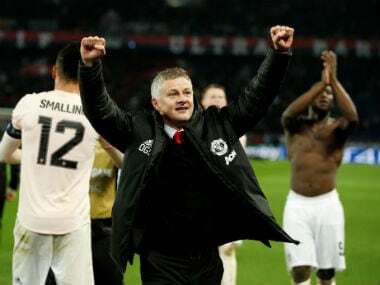 Solidifying the defence and completing his attacking signings have ensured that United have the necessary firepower, in addition to the ability to exhibit defiance in defence, to take their performances and success to the next level. The Portuguese tactician's teams have always resembled outfits that are great defensively, play with physicality and are direct, focused on getting wins with individual ability helping the team do well in attacking areas. He has a talented squad, especially in attack and midfield, and his patented move so far has been to challenge his players publicly, making them think about their roles in the team and what is required of them. Luke Shaw and Paul Pogba are just two of the names who have been exposed to the former Chelsea manager's tough love, with both of them reacting differently. Shaw has been virtually on the outside looking in this whole season, making the rare start, with Mourinho saying the player hasn't been in the best of shape or doing the right things. Despite his recent start against Bournemouth, he will probably watch this encounter from the bench. 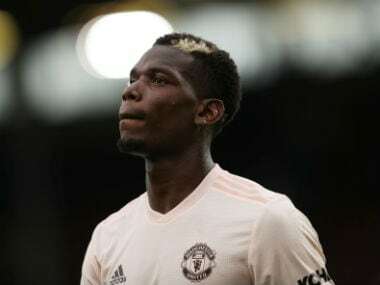 Pogba, has, on the other hand, faced a difficult time in the last couple of months, failing to understand the requirements placed on him in a two-man midfield. Of late, Mourinho has been lining his team up in a 4-3-3, with the Frenchman on the left, aimed at eliciting the best out of him. Despite some great performances, like in the 3-2 win over City and the 2-0 win over Bournemouth, the manager has demanded greater consistency from his talisman, just like the rest of the team, as they look to take the next step on their journey to returning to the club's glorious trophy-laden past. 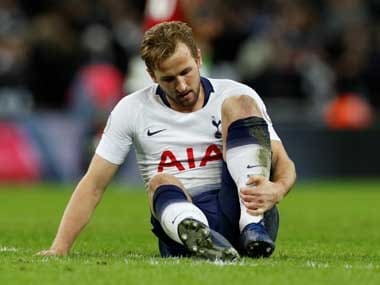 Tottenham, on the other hand, have had a strong season of their own, despite not investing as much in their team as the other members of the top-six. They have continued to improve as a team, with their style of play emerging as one of the best in the Premier League. Manager Pochettino has focused on playing with a high defensive line, ball retention and an intense press in operation when they lose the ball to recover it as soon as possible. The system has brought the best out of players like Harry Kane, Christian Eriksen, Dele Alli and Moussa Dembele, with the likes of Eric Dier, Jan Vertonghen and Hugo Lloris keeping it tight at the back. Despite their continued development over the last few seasons, this will be their lowest league position in the last three years, having finished third in 2015/16 and second in 2016/17. Though a major reason for their position this season is the fact that both Manchester teams and Liverpool strengthened their squads by spending big money, it also goes without saying that they weren't as consistent in the first half of the season as needed, dropping needless points at home as they adjusted to their temporary home for the season, Wembley. The Lilywhites had a great run in the Champions League, defeating Real Madrid and Borussia Dortmund in the group stages before running Juventus really close in the Round of 16. What stood out was their tactical flexibility and ability to rise to the occasion against the big teams. However, they have also been plagued by a lack of consistency in their performances, something they need to eradicate in order to take the next step in their evolution. Another facet they are currently lacking is the mental strength to show they can win trophies, even when they aren't playing well. Pochettino is right when he says that winning either the Premier League or the Champions League is the only way to demonstrate that the team have improved their level and are consistently one of the best in the world. However, what also needs to be recognised is the fact that winning a prestigious competition like the FA Cup will also aid their development, giving them the hunger to win trophies and helping them take that next step. As we enter the last few weeks of the season, it is important to recognise that both clubs have had solid seasons, with both managers playing an important role in moulding their teams. 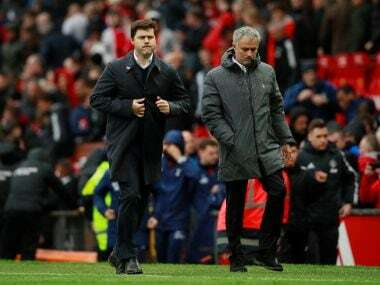 The stakes now are higher, and having talked the talk for the entire season, it is time for both Mourinho and Pochettino to ensure that their teams walk the walk, in their FA Cup semi-final.